Great Impressions: April Monthly Challenge and a Design Team Call! We have so much to talk about and share today that let's get right to it, shall we? Is everyone as thrilled as I am that Spring is finally in the air? 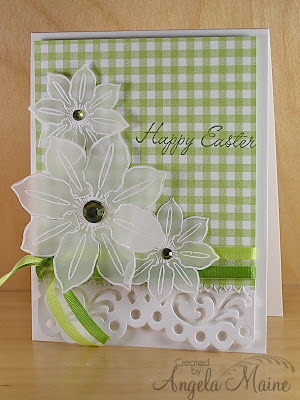 our April challenge is all about pastel colors and/or polka dots. let us know in your post and your name will be entered twice in our random draw! has managed to come up with some of their best creativity yet! 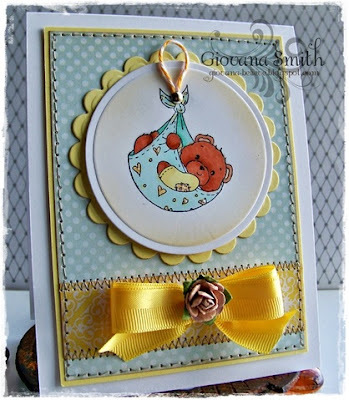 Giovana shares both the front and inside of her card. What did I tell you? Amazing right? Before you take off and start creating, it's time to reveal our March Top Pix and Random Winner! did we come across some outstanding talent out there! 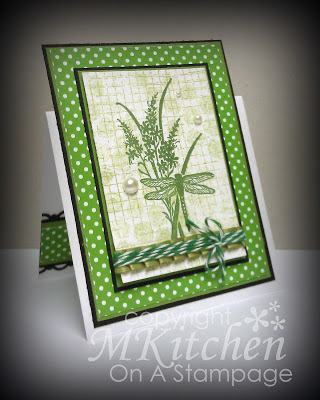 "Angela the embossed vellum flowers and green gingham are just beautiful together, and I really love the lace border and green ribbon. A gorgeous card, embellished perfectly! 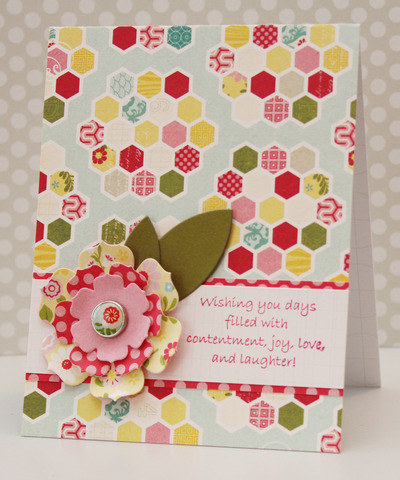 Joan said, "Angeline, what a cheery card and to have used recycled products is even better. I love the recycled toilet tissue roll bow. It gives the card so much dimension. 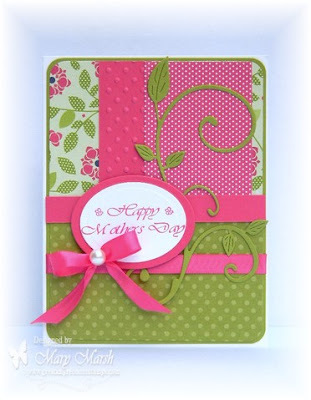 And who would even know that the background of your card was recycled, too. Just fantastic use of products while saving the Earth and money too! Wowzers Mynnette! 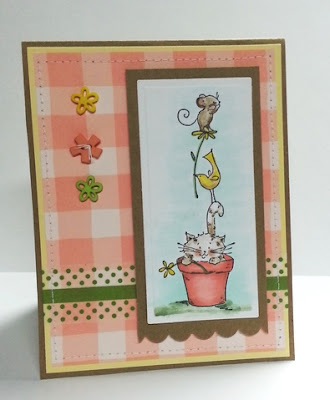 I can't believe you created not one but three cards for our challenge! 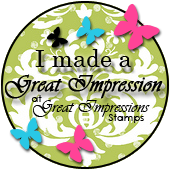 All showcasing Great Impressions Stamps! You made it hard for me to choose just one to show off! I loved them all! Each of your card layouts display your wonderful eye for design and I adore all the different textures! Congrats on being my Top Pix! And we can't forget our Random Draw winner! Woo Hoo!! So excited for you Tammy! 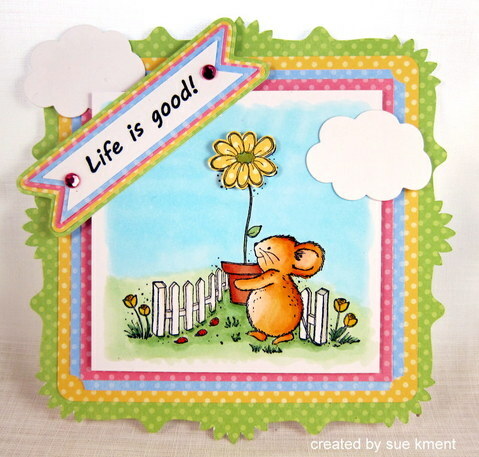 You win $20 toward your choice of our awesome Stickable Stamps! and I will get your Coupon Code for shopping right to you! Finally, a reminder that our Design Team Call ends at midnight this Wednesday, April 10th. So, what are you waiting for? ....click here for more information. Can't wait to see what you all create for our challenge! Congrats to all the outstanding cards for the March challenge. 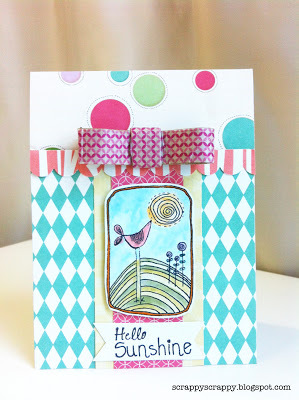 Beautiful cards inspirations for that April challenge. Thanks for sharing. 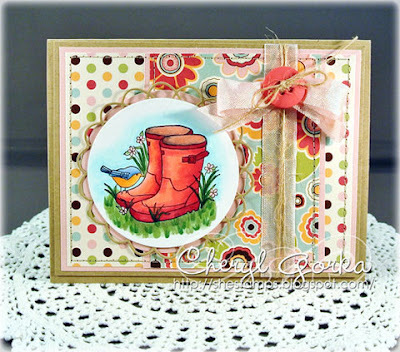 Oh, thank you so much for choosing my card from last month's challenge! Congrats to the other winners, too! Fabulous work, gals! 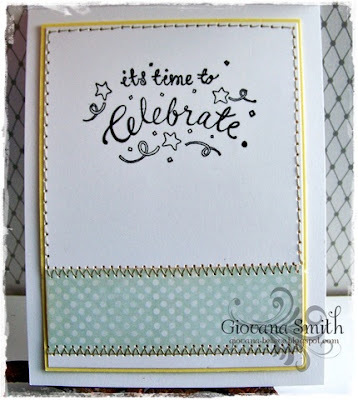 Can't wait to make something for this month's challenge! :) The DT inspiration is absolutely amazing!!! Gorgeous cards ladies! Thanks for sharing! Love the DT cards, so pretty. No dots in mine but I love pastels. Great selection of cards from the DT - thanks for sharing! WOW some fabulous DT samples! Thanks for the challenge. Absolutely fabulous creations by the DT! LOVE the challenge theme too. I very much enjoyed entering this contest. It gave me the opportunity to put on my thinking cap on using my dot paper! thanks so much for the Opportunity and Jen I'm still got everything crossed for hope and good luck!! (smiles) Have a wonderful day everyone. Thanks for the fun challenge. The DT projects are gorgeous. Fabulous work by the DT! Well done ladies!